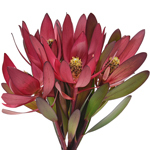 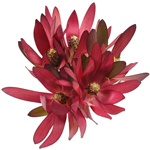 Safari Sunset Leucadendron is a super fun way to add greenery to your arrangements. 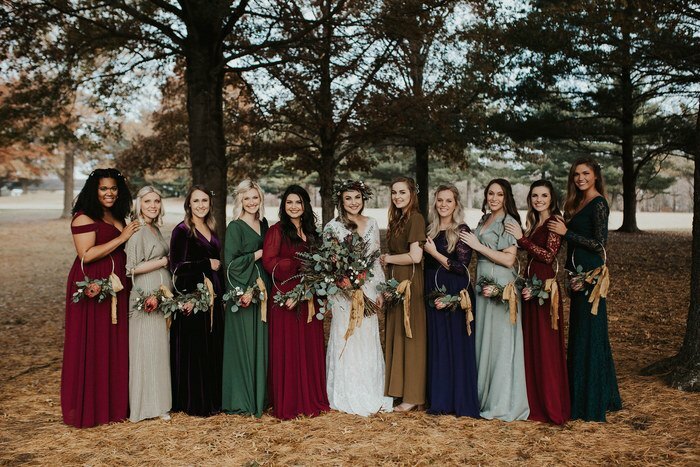 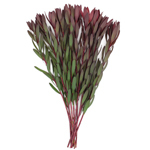 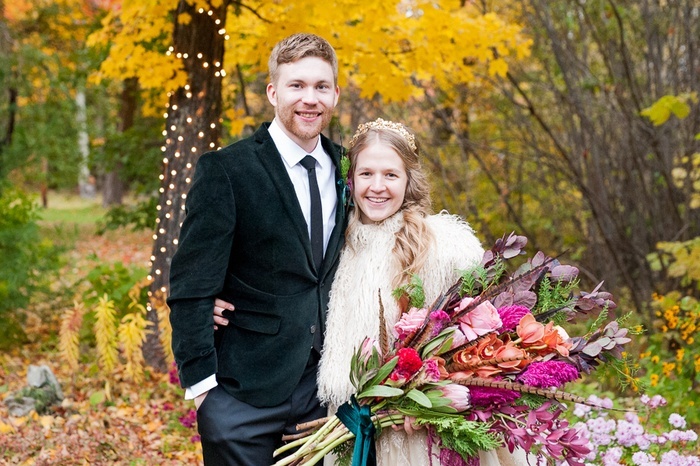 Deep green leaves are tipped by rusty red and umber and will blend beautifully with virtually any flower. 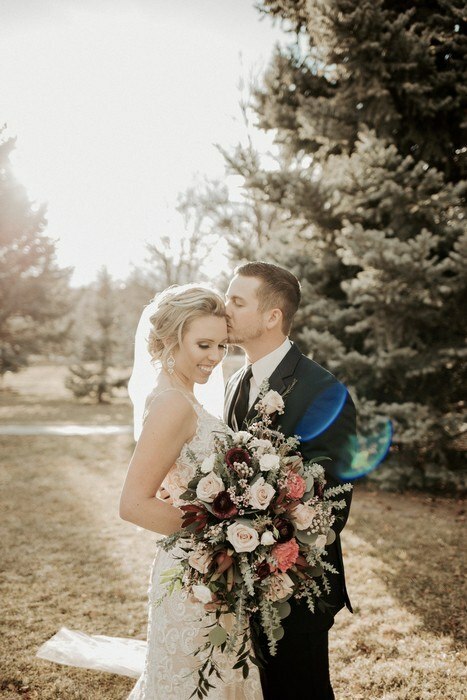 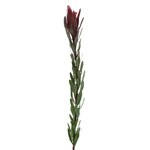 Or, get creative and spray a hint of glitter on the leaves for a fun holiday event or glamorous wedding. 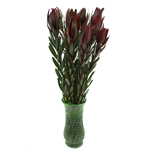 Simply add a few stems in with your favorite flowers and you're done. 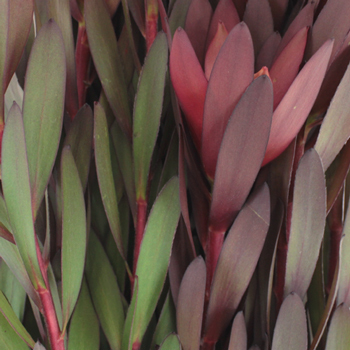 Safari Sunset Leucadendron greens are shipped in 10 stem bunches.